Home / Knowledge base / Earthkind Pest Library / Team Fitzgerald Keeps Mice Away with Fresh Cab! Team Fitzgerald Keeps Mice Away with Fresh Cab! Fresh Cab rodent repellent is the best way to get rid of mice. Team Fitzgerald, father and son bowhunters extraordinaire, know how destructive mice can be to expensive hunting gear. Find out how and why Fresh Cab rodent repellent works. 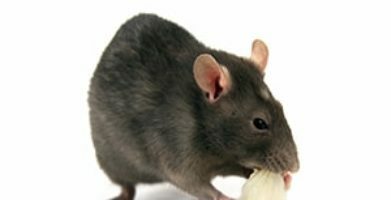 Using rodent repellent in RV’s and campers in the fall will prevent mice all winter long. Camper Mouse-Free in the Spring! After protecting your camper with Fresh Cab in the fall, your camper will be mouse free and smell great in the spring! 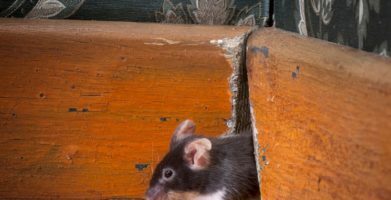 Hunting cabins and other seasonal spaces are prone to rodent infestations. 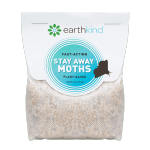 Find out how to prevent pests. Find out how they were able to prevent mice without endangering their beloved hunting dogs. Seasonal equipment like boats are susceptible to pest problems. 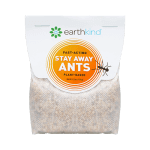 Find out how to prevent pests. Mice love tractor cabs! Fresh Cab was invented to keep mice out of tractor cabs, leaving nothing but a fresh scent behind. Field mice can be a real problem on the farm. Find out how to prevent farm mice. 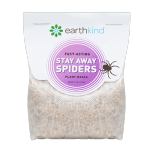 Botanical rodent repellent is the best choice to use in the kitchen and around food. Storage sheds and other rarely used spaces make a great home for mice. 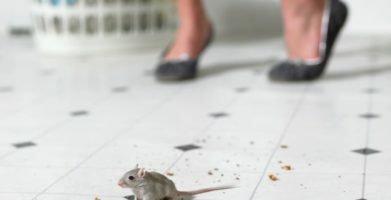 Find out how to prevent infestations. Classic cars are susceptible to rodent damage. Find out how to protect your investment. Team Fitzgerald can tell you the easiest way to get rid of mice. Find out how to prevent rodent damage to your hunting gear. Say No to "Mice Rice"
Using rodent repellent in RV's and campers in the fall will prevent mice all winter long. Find out how they were able to prevent mice without endangering their beloved hunting dogs. string(47) "Team Fitzgerald Keeps Mice Away with Fresh Cab!"